Production uncertainty and weather volatility has arrived! Unfortunately, recent focus has centered on freeze/snow damage to the HRW crop across the far Western Plains, which is rather difficult – if not impossible – to quantify. But no doubt, AgResource’s producer clients and commercial contacts indicate that HRW yield potential, on the margin, has been lost. Most of this is due to the sheer weight of 10+” of snow across western Oklahoma, western Kansas and southeastern Colorado. 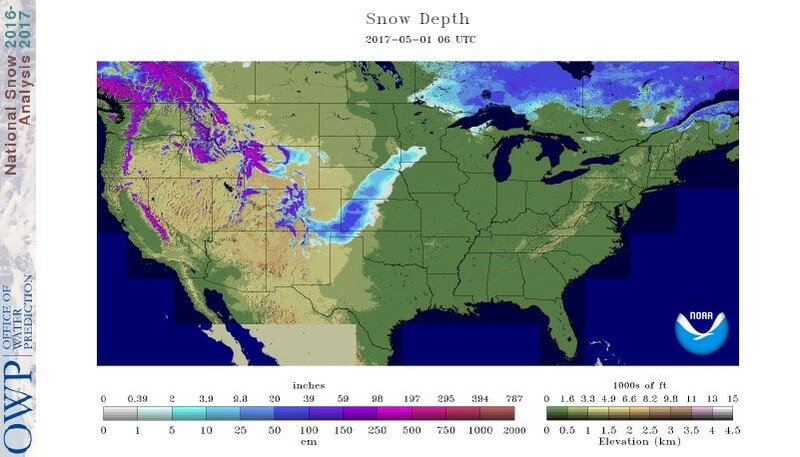 The map above displays snow cover as of Monday morning, much of which has melted since. And it’s important to gage just how much wheat has been lost. 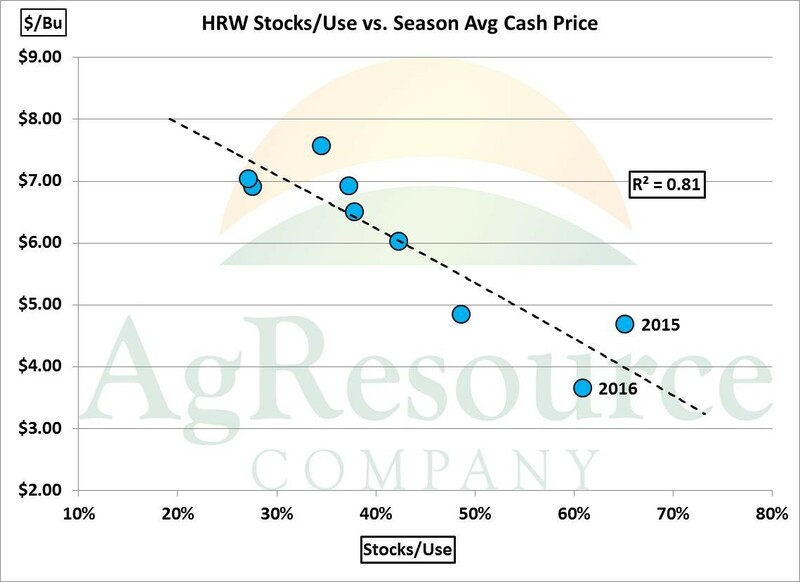 As evidenced in the graphic above, HRW supply & demand does correlate strongly with season average cash prices, and so the fine-tuning of balance sheets has begun. Already, the cash market has rallied via basis in recent weeks, and now futures are advancing, and cash corn in Kansas is again cheaper than wheat, thereby raising potential corn feed consumption this summer. As such – and recall speculative funds had established a record net short position in Chicago last week – a bearish outlook is not advised until more is known about US and, really, Northern Hemisphere production. But the point is that higher HRW stocks in 2017/18 are required to be bearish, and following recent weather AgResource doubts another boost in US wheat inventory lies ahead. Rising wheat prices will underpin corn on breaks.